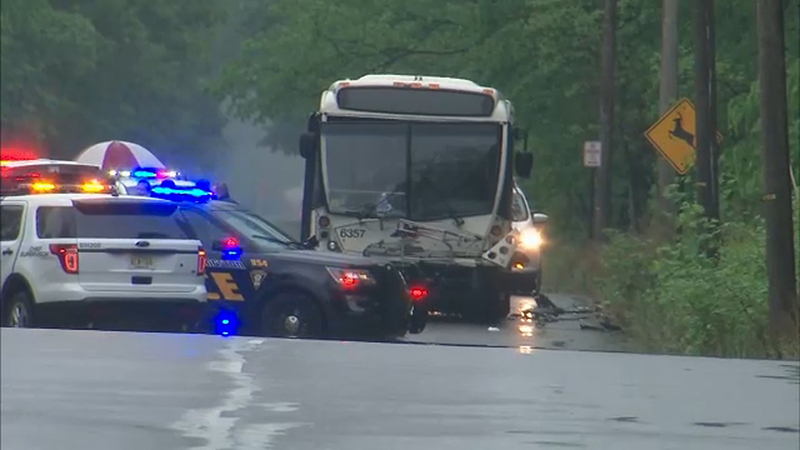 LIVINGSTON, New Jersey (WABC) -- A New Jersey Transit bus collided with a car in Livingston Wednesday afternoon injuring several people, police say. A 70 Bus was traveling from Livingston Mall to Newark Penn Station just after 1 p.m. when it somehow made contact with a vehicle at South Orange Avenue and Latham Court. Authorities say four of the five people on the bus suffered injuries as a result of the crash. There's no word on the extent of any of their injuries.